SPOILER-FREE! There are few franchises that get under our skin quite like James DeMonaco’s, The Purge. 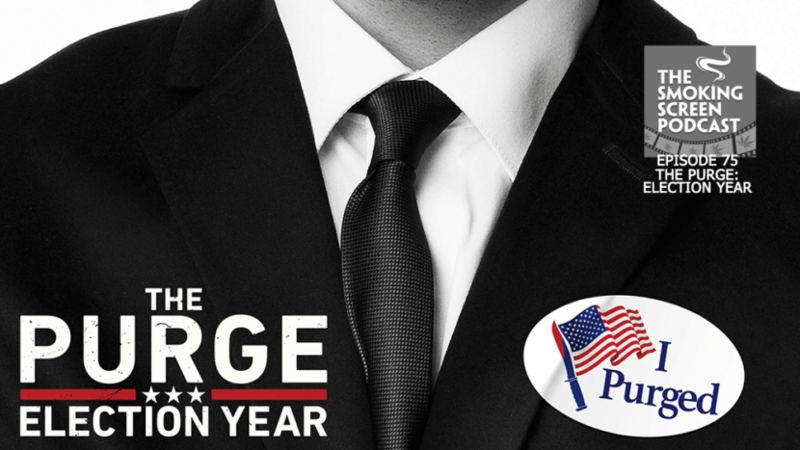 The combination of sadistic violence and mortal terror is once again on full display in the third installment, The Purge: Election Year. Well-timed, don’t you think? Can a film be more terrifying than Hillary and Trump? Does the franchise have enough votes for a fourth film? How much does Jay like Elizabeth Mitchell (lots) and is she channeling Bernie Sanders? We answer all of these questions and more in episode 75 of The Smoking Screen Podcast. Come and join the circle!